Present Position: Leader of Research andDevelopment Unit, National Resource Center for Rehabilitation in Rhuematology,Dept. of Rhuematology, Diakonhjemmet Hospital, Oslo, Norway. e. International Classification of Function(ICF) – validity on rheumatoid arthritis. National Resource Center for Rehabilitationin Rhuematology, Unit for Research and Development, Leading consultantsince 2001. – Chair for the postgraduate educationcourses for Norwegian Physicians: Arthritis in the new century (2002).Activity and damage in rheumatoid arthritis in clinical practice (2003). Mustata S, Chan C, Miller JA, Richardson,RMA. Effect of exercise on vascular stiffness and insulin resistancein hemodialysis patients. Manuscript in preparation 2003. Mustata S, Less P, Agraharkar M, MuralidharanJ, Uldall PR. Further experience with a percutaneously inserted doublelumen silastic catheter for end-stage renal failure patients with refractoryvascular access problems. ASAIO Journal 1996, 244-245. Agraharkar M, Isaacson S, MendelssohnD, Muralidharan J, Mustata S, Zevallos G, Besley M, Uldall PR. Percutaneously inserted silastic jugular hemodialysis catheters seldomcause jugular vein thrombosis. ASAIO Journal 1995, 41(2), 169-172. Patrikarea A, Pierratos A, Mustata S,Oreopoulos DG. Pretreatment hemoglobin and response to erythropoietinin CAPD patients. Peritoneal Dialysis International 1995, 15(3), 174-175. Mustata S, Miller JA, RichardsonRMA. Exercise may prevent hemodialysis-induced hypotension. JASN 2001. Mustata S, Goh ST, Goh SL, Sanchez M,Amodeo M, Conolly A, Walker M, Silverstein A, Mailis A, Richardson RMA.The effect of an exercise program on fitness, quality of life and Kt/Vin hemodialysis patients. JASN 1997. Jassal V, Mucsi I, Mustata S, Uldall PR.Renal biopsy – a safe and easy day case procedure. JASN 1995, 6(3), 392. Polner K, Mucsi I, Jassal V, Mustata S,Uldall PR. Comparison of Uldall — Cook (U-C) catheter with the polytetrafluoroethylene(PTFE) graft for long-term vascular access hemodialysis. JASN 1995, 6(3),499. Jassal V, Mucsi I, Mustata S, Uldall PR.Venous thrombosis secondary to indwelling jugular hemodialysis catheters.JASN 1995, 6(3), 492. After my medical training in Europe (Romaniaand England), I was appointed as a Clinical Fellow in Nephrology at theUniversity of Toronto, Canada, in 1993. I was granted Canadian Landed Immigrantstatus during my fellowship. As a foreign medical graduate, I had torepeat my entire training in Internal Medicine and Nephrology in orderto obtain a general license to practice in Canada, which explains my extensivepost-graduate training – 6 years of Internal Medicine and 6 years of Nephrology. Conjoint lecturer at the University ofNew South Wales. 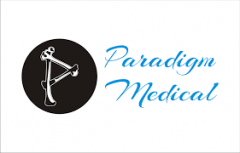 Postgraduate degree – fellow of the AustralianMedical Acupuncture College since 1980. Dr. Lam is the past president Tai ChiAssociation of Australia for three years 1999-2002 And a world leader inthe field tai chi for health improvement. He has given talks, workshops and presentationsto numerous health professionals on the subject of Tai Chi and health,conduct workshops for instructors world wide and is participating in severalresearch projects. – “Effects of Tai Chi For Diabetes” withUniversity of NSW, Community Medicine. – “Tai Chi For Quality of Geriatric Lifestyles”with St. George Hospital. International Renowned scholar and masterinstructor of Qigong and Taoism, with more than thirty years of experience,speaks Chinese and reads both modern and classical Chinese. On the Board of Directors of the United StatesTaoists Association, the only American Taoist organization officially recognizedby the Chinese Taoist Association of the People’s Republic of China. One of the world’s leading scholars of Complimentaryand Alternative Medicine. Clinical experience and significant resultsteaching therapeutic qigong to physician-referred clients. East/West approach integrating insights frommedical science, Psychotherapy and western movement and postural therapies. Pioneer in the clinical application of healingimagery of Qigong. Adjunct Professor of Capital Health SciencesPsychology at Union Institute Graduate School and guest lecturer at universities,medical schools and international conferences. 1969 FRCS (C), Royal College of Surgeons ofCanada. Subject: Gastric cooling, pancreatic andgastric physiology, tracheal reconstruction. Subject: Immunogenicity of articular cartilageand its application to joint transplant. John J.Santoro, D.O., F.A.C.G., F.A.C.O.I. Traditional Acupuncture Institute, Columbia MD, 21044. Certificate of Competence in Traditional Acupuncture, 1986. Master of Acupuncture (M.Ac.) Awarded in 1989. University of Michigan, Ann Arbor, MI, 48104. Hampshire College, Amherst MA, 01002. 10/85-Present; Traditional Acupuncture Practice 40 hrs/week. 8/83-5/84 Senior Research Technician, Otolaryngology, Kennedy Center,Albert Einstein College of Medicine, Bronx, NY 10461. 5/80-6/81; Research Assistant, Zoology, University of Massachusetts,Amherst, MA 01002. 6/79-1/80; Research Assistant, Department of Neuroscience, Kennedy Center,Albert Einstein College of Medicine, Bronx, NY 10461. Guest Lecturer at: Eastern School of Acupuncture, Oregan College ofOriental Medicine, New England School of Acupuncture, Southwest AcupunctureCollege, Traditional Acupuncture Institute, Tristate Institute of Acupunctureand Oriental Medicine, Pacific College of Oriental Medicine, Academy ofFive Element Acupuncture. “Theoretical Foundations of Chinese Medicine”, Traditional AcupunctureInstitute, yearly: 1986-1996.-Guest lecturer and Continuing education classes. “Trigger Point Research”, Guest lecturer, Acadamey of Myotherapy andPhysical Fitness, Lenox, Ma, 1986-1989. Keynote speaker, Maryland Acupuncture Society yearly meeting, 1991. Speaker, Annuual meeting of the Acupuncture Society of New York, â€˜94. Speaker, Annuual meeting of the Acupuncture Society of New York, â€˜95. Many ongoing national and international workshops continuing to thepresent. 1976-present; Earned fourth degree master level certification in theKorean martial art Tae Kwon Do. 1986-2002 Taught martial arts at Kripalu Yoga Institute in Lenox, MA. 1992 – Organized a free treatment program with Arlo Guthrie for AIDSand HIV positive people residing in Berkshire county. 1989 – present; Taught self to read Chinese. 1993 Treasurer and founding board member of the Acupuncture Societyof Massachusetts. 1994 First accredited teacher of pulse diagnosis for Dr. Leon Hammer. 1993 Elected as a Fellow of the National Academy of Acupuncture andOriental Medicine. Model, P.G., Jarrett, L.S., and Bonazzoli, R., Cellular Contact BetweenHindbrain and Prospective Ear During Inductive Interaction in the AxolotylEmbryo, J. Embryol. Exp. Morphol., Vol. 66, pp. 27-41, 1981. Woodcock, C.L.F., and Jarrett, L.S., Packing of Neucleosomes in the25nm Chromatin Fiber. J. Cell. Biol., 91 (2): A57, 1981. Vanderwater, T., and Jarrett, L.S., Induction of the Auditory Placodein Mouse and Chick. 1993- Picture of DNA was published in the Proceedings of the NationalAcademy of Sciences. The Holographic Paradigm and Acupuncture, Journal of Traditional Acupuncture,Vol.8 #2, 1985. Myth and Meaning in Chinese Medicine, Traditional AcupunctureSociety Journal, England, No.11, April ’92, P.45-48. The Returned Spirit (gui ling) of Traditional Chinese Medicine, TraditionalAcupuncture Society Journal, England, V. 12, Oct. ’92. The use of entry and exit points in traditional acupuncture, The Journalof the National Academy of Acupuncture and Oriental Medicine, Vol.1 #1,12/94. Treating Betrayal of Intimacy with Chinese Medicine Part I, AmericanJournal of Acupuncture, Vol. #23, #1, 1995, P. 35-51. Niu Huang Ching Xin Wan, Kanpo News Letter, http://www.spiritpathpress.com,1996. Sheng Mai San, Golden FLower Chinese Herbs, in Press, 1999. I gained my BSc from Auckland University and my initial TCM acupuncturetraining was at the International College of Oriental Medicine graduatingin 1980. I subsequently attended various courses in China and studied Chineseherbal medicine with Ted Kaptchuk in 1986. I was one of the founders ofthe London School of Acupuncture and Traditional Chinese Medicine. I amnow a principal lecturer in the School of Integrated Health at the Universityof Westminster and course leader for TCM. Since 1995 I have been primarily involved in the development of professionaltraining in a University setting as a way of supporting the professionalisationof our medicine. In 1996 we gained validation of a BSc (Hons) TCM:Acupuncture and in 2000 we validated a Diploma and Postgraduate Diplomain Chinese Herbal Medicine and a Diploma in Qigong Tuina. Together thesecourses cover the main tenets of TCM education. In developing the CHM programmes the course team worked to the requirementsof the new curriculum of the EHPA. The rationale of the professional trainingin CHM is that there are two distinct learning methods needed for professionalentry. The first is a basic training in classic formulae and western sciencesthat is best learned through an undergraduate structure re learning outcomesand assessment criteria. The second is a development from that which isthe individualisation of formulae to meet the specific needs of the patientwhich is best learned through a postgraduate structure of research andpersonal reflection. This also requires an overall picture of the political,cultural and legal context of professional practice. I have just completed my MSc in Interprofessional Practice. The titleof my dissertation was ‘An Exploration of my Clinical teaching Using aReflective Method to Illuminate my Personal Knowledge of Teaching AdultStudents’. I see reflection as an ethically necessary method for all teachersand an important research tool for practitioners to conduct research intotheir practice. Honarary membership gives me a more official status to speak on behalfof CHM. Through being kept in the loop of developments in CHM I can beproactive in developing and changing the courses.